Ursula Kroeber Le Guin the revered science fiction and fantasy author has died at her home in Portland, Oregon after a short illness. She was 88 years old. 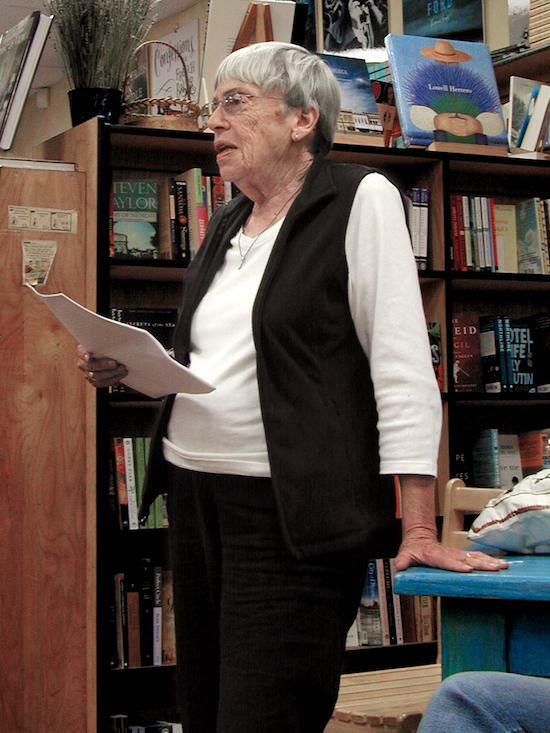 The news was announced by her family this afternoon with a short statement: "The family of Ursula K. Le Guin is deeply saddened to announce her peaceful death yesterday afternoon." Born in 1929, Le Guin began to have short stories published regularly in the 1960s including her first 'Hainish' work as well as 'The World Of Unbinding', which was the public's first introduction to Earthsea. She was the first author to win the coveted Hugo and Nebula awards twice for two novels with The Left Hand Of Darkness and The Dispossessed. Le Guin's themes were manifold but her work is closely associated with speculative fiction concerning gender, environmentalism and anarchism.